Neuromuscular Dentistry (NMD) utilizes the principles of physiology and anatomy to objectively interpret and evaluate the relationships between the jaw, the teeth, temporomandibular joints and the masticatory muscles. The goal of Neuromuscular Dentistry is to achieve a balanced occlusion based on the optimum relationship between the mandible and the skull. Dentists refer to the manner in which your teeth come together as your “occlusion” or “bite”. Proper occlusion is one of the most critical components of your dental health. If you have a healthy bite your teeth come together without muscle strain and with your jaw joints functioning in a smooth, quiet and uninterrupted motion. If any of these elements of your occlusion are not working properly you have an improper bite or what dentists call “malocclusion”. Many factors can cause malocclusion; trauma to the head or neck, worn or damaged teeth, missing teeth, previous dental work, poor arch development, poor posture, poor tongue position and even sleep apnea can affect the way you bring your teeth together. As a neuromuscular dentist, Dr. Adams objectively evaluates the current status of the muscles, the teeth, and the Temporomandibular joints. 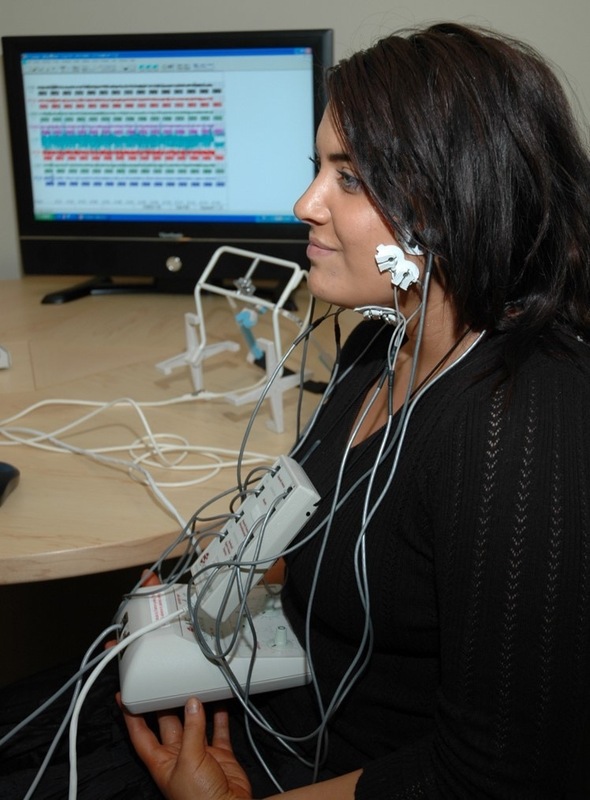 The muscles are evaluated through the use of electromyography, a diagnostic tool (similar to an EKG) that measures the electrical function of the facial muscles important to the functioning of the jaw. This test (typically referred to as “EMG”) will tell Dr. Adams the effectiveness of these muscles during function and their status at rest. The teeth are evaluated by a complete dental exam as well as through the study of plaster casts that Dr. Adams creates from molds taken of your upper and lower dentition. The function of the temporomandibular joints is evaluated through the use of BioJVA and Radiographs. BioJVA or “ Joint Vibration Analysis” is a diagnostic aid used to measure how the patient’s joints are functioning before starting any case that repositions the mandible. Within 2 minutes, your team can provide a highly accurate, quantitative test analyzing the stability and function of the Temporomandibular Joint. BioJVA is a quick, non-invasive method for objectively evaluating the Temporomandibular Joints. Much like the way dentists evaluate the wear on the teeth, JVA enables the dentist to assess the health of the jaw joint. BioJVA is based on simple principles of motion and friction. When smooth surfaces rub together, they create little friction and little vibration. If these surfaces become rough and rub together, then friction and vibration are created. BioJVA is a non-invasive method for objectively evaluating the Temporomandibular Joints. Identifying a patient’s joint problems before symptoms are present. Proactively guiding the dentist in treatment planning. Allowing the patient to be educated and understand the health of his or her TM Joints. Computerized Mandibular Scanning (“CMS” or simply “jaw tracking”). CMS allows Dr. Adams to record the movement (both up & down, forward & backward and side-to-side) of your lower jaw (the mandible) as you chew and as you open and close your mouth. (For more information about this advanced instrumentation visit www.bioresearchinc.com). JVA provides a fast, noninvasive and repeatable measurement of TMJ function to aid in your diagnosis. Understanding TMJ function is vital anytime you are changing the vertical, lateral, or A/P position of the mandible. Common treatments that change mandibular posture such as TMD treatment, orthodontics, restorative, and sleep dentistry can benefit from JVA testing. Once this information has been recorded and evaluated Dr. Adams will then use Ultra Low-Frequency Transcutaneous Electrical Neural Stimulation (“ULF-TENS”) to help place the muscles of the face and neck into a state of physiological rest. Once this has been achieved he will then, utilizing the jaw tracking instrumentation, record the trajectory the jaw takes as you open and close your mouth – all while the muscles, the teeth, and the Temporomandibular joints are all working together in physiologic harmony. The end result is a position of occlusion that is called the “neuromuscular bite”, the optimum position of form, function, and aesthetics.